I know that we all want to identify the ONE factor that is making us unhealthy. One thing is so much easier to remember than – let’s say – three things. I am a fan of making life simple and working on problems with baby steps. Ask any professional in the field of getting people healthy and they are going to tell you that eating fruits, vegetables, lean meats, and whole grains – AND – exercising, sleeping, drinking less alcohol, ending smoking, etc. etc. etc. are the foundations of a healthy lifestyle. Or you could simply cut down on your sugar intake. Hello! That is 10 tablespoons or just over 1/2 cup of sugar per day of ADDED sugar. They are not talking about sugar that naturally occurs in fruit or raisins – they are talking about sugar that (for example) Americans drink in their orange juice in the morning. I know it isn’t news to you that sugar is linked to obesity and other diseases. I bet it isn’t news that sugar is addictive. Sugar isn’t evil but it is consumed at way too high a rate to be good for us and the rate of diabetes confirms that we eat too much of it. Our bodies literally give up after we soak them in sugar. How about a day without added sugar? I did this exactly once and I noticed something. I felt a craving about 2 PM for a cookie and it would NOT go away. I found myself hunting under the seats in my car for some sort of snack so I could get my “fix”. You don’t even notice how much your body wants it until you quit for a day – and that is a bit scary. I limit my consumption of sugar in a number of ways that work for me. I don’t drink soda, juice, Gatorade or anything like it. My empty-calorie choice is wine and I drink a glass or so per day. I don’t eat baked goods unless I bake them myself or they are homemade and I stick to dark chocolate if I want a treat. What is the most difficult about lowering the amount of sugar you consume is how much of it surrounds us. Coffee drinks, granola bars, yogurt, and whole grain cereals have tons of sugar added – forget the obviously high sugar foods like ice cream and brownies. If you were to stop drinking the obvious problems such as juice, soda, or whatever other crazy drink (like Monster) you consume, you would be halfway to cutting your sugar intake. How about it? Have you tried to reduce the amount of sugar you eat? How have you done it? Instead of drinking orange juice I eat a whole orange. I also get extra fiber this way. I agree that juices have a lot of sugar - but real juice (i.e. 100% OJ) would be natural sugar, not added? correct? The weird thing is that there is sugar (or worse - High fructose corn syrup) in things you wouldn't expect like spaghetti sauce or bread. Maria, real juice has natural sugar but at a much higher concentration than the fruit because it takes several pieces of fruit to make one small glass of juice. That's why juice isn't such a great beverage, even when you make it yourself. In our house hold we cook from scratch. I used to love sugar - a lot! I first noticed it's addictive effect when I once bought a packet of chocolate cookies and got in to the habit of having a couple after supper. Cookies in the house were an unusual thing as I had a fussy eater toddler and decided t keep stuff like that at bay. Once the packet was finished for the week, I noticed after supper I would have cravings that all I thought of were chocolate cookies. The cravings were not a 5 minute thing, it would go on for hours to the extent that I had trouble falling asleep! I avoid all artificial sugars as well and am wary of natural sugars too as not sure whether they have that same effect. We do have sweets and desserts but make our own and reduce quantities of sugar. Very rarely do we have fruit juices going instead for whole fruit. If we feel to have soda we buy full sugar but keep that to a few times a year. I can't wait until the new food labels come out which will show the sugar breakdown by added sugar vs naturally occurring sugar in the food. It takes a LOT of time to read labels - but it'san eye-opening experience. In October 2014 I went "cold turkey" and eliminated sugar in my life. Within a week, I was no longer craving the unhealthy foods; I didn't feel hungry all of the time; I wasn't irritable; I slept better; I felt better overall. I started eating low carb, moderate protein and fat (healthy fats) and in 3 months, I've lost 32 pounds and more inches than I can count! I read the labels when I'm grocery shopping, looking for those hidden sugars (educating yourself is the key). I've done a three day sugar detox. This means NO sugar, not even natural sugar, for three days. Lean proteins, some vegetables, raw almonds, eggs for three days and watch what happens on day 4. My sugar cravings disappeared. My orange tasted like candy. 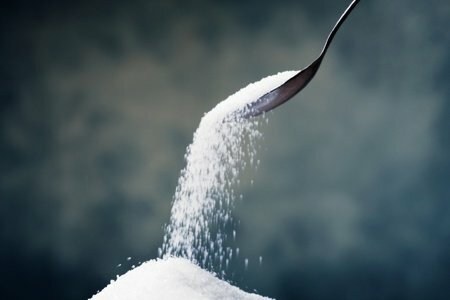 It's amazing how addictive sugar is and how it changes your sense of taste! I've been able to get rid of most sugar pretty easily - I don't drink soda, cook almost all my own meals, check the sugar grams on everything. But I have a real problem giving up wine and chocolate. And I'm one of those people who can't have just one piece of chocolate or one 4 ounce glass of wine. So I end up either having too much or none at all. :( I heard that there is sugar-free wine, but I have never seen it anywhere, and can't even imagine what it tastes like since wine is made from fruit and fermented by wine yeast "eating" sugar, so I don't get it. Anyone else had sugar-free wine? I too just quit the sugar addition one week ago. The first three days I went through the withdrawals, headaches, sluggish, etc. Doing so much better, like others I have more energy, sleep better, even my complexion looks better. I have plenty of fruit and protein snacks on hand on instead of the candy and store bought baked goods. I'm very serious about breaking this sugar habit. The negative effects it has on my body are over whelming. Glad to read others are doing the same and Thanks to Snack Girl for putting this article out. Stacie - If you want the taste of chocolate without the guilt, try the Quest Protein Bar - Chocolate Chip Cookie Dough. It has very low amounts of natural sweetener (i.e. Stevia) and the chocolate tastes like chocolate! It has a lot of fiber, so I wouldn't eat more than one at a time. In trying to strengthen my bones and lower my cholesterol I started eating all natural, no packaged foods. I lost 15 lbs. and belly fat disappeared over a summer. The only sugar I consumed was the honey I put in green or herbal tea. My husband eats lots of junk food and I slowly let myself slip into the old pattern. If it were up to me I would never bring another box of ice cream, cookies, chips into the house. I'm a good cook, I like to cook and I know what is healthy food. I am inspired now to label every packaged food item on the shelf with a skull and cross-bones. Thanks for the wake up call, I have come back to my senses. Two years ago, I realized I had a problem with sugar...REALLY SWEET tea, which I loved and sipped all day at my desk. I was very overweight and knew the sweet tea was the fist obstacle I had to tackle. I attempted to go cold turkey but couldn't because of the severe headaches. So, I cut the sugar down gradually, and with patience. Eventually I realized I was no longer addicted to sugar. Since that time, I started walking, eating properly and have lost 86 pounds. My new routine will include some running. I now have an occasional sweet treat, but don't make a habit of it. If I can kick the sugar habit, anyone can. I am hoping to start cutting back on sugar - figuring I need "baby steps" to get my intake down. I don't drink juice or soda and haven't for years (aside from an occasional glass). However, I also have the habit of needing something sweet after dinner. It's a really difficult habit to quit. I am giving up my nightly dish of ice cream for lent this year hoping that it will kickstart me into giving up my need for sweets. That part hasn't worked since instead of ice cream, I just eat other sugary things. I also have a glass of wine nearly every night. I don't really want to give that up completely though. I can't wait for the new nutrition labels to come out. It would be nice to know where there is added sugar in foods and how much is added. Some foods that have natural sugars will actually have more sugar added to it! I don't fully understand why, but that is where the American taste buds are going. If it's not sweet enough, 'we' won't eat it. Great post! I stopped drinking sugary sodas and using sugar in 1972. There are hidden sugars (and salt) in our drinks and foods so it's best to read the label. Sugar can be disastrous for diabetics but a life saver if our blood sugar crashes dangerously low. It is the only way to bring it back to a safe level. That is why we have small meals every couple of hours or so to keep our blood sugar from going too high or too low. Deadly complications can arise if it goes to far either way. For us, best to stick with those carbs that are in whole foods like fruits and veggies with an emphasis on proteins in the diet. Fruit juice has sugar that goes directly into the blood stream unlike eating the whole fruit that digest much slower with more benefit. We use fruit juice, sugar, or hard candy if our blood sugar crashes. Sugar is sugar even if it is from natural sources like honey. Yes, I too am a sugar addict. I must quit. I am diabetic. I can feel the damage sugar is doing to my body. I feel it more and more everyday. This is perfect timing. I decided yesterday after thinking for months that today is the day. I am taking 1 step at a time. I will focus on the current moment and nothing beyond or behind. I can do this. . . One moment at a time. Thank you all for your input and thank you for this blog. This is a wonderful supportive community with great information. Interesting. I'm surprised by this post after all the recipes you publish that call for sugar. How about a quick n easy "No Sugar No Egg No Flour No Fat" wholesome cookie to help when kicking sugar out the door? I have a different take on the sweet addiction. My husband was diagnosed with diabetes. Since then to replace his favorites he has been eating foods with alot of Splenda in them. Icecream, soda, iced tea. How can I wean him off these items and still satisfy his sweet tooth. His stomach is quite large where the rest of him is thin. Yes. I Turned To Herbs And Spices. Marjoram (Oatmeal), Black Sesame Seeds (Ham) Also Tarragon (Chicken). Also To A Lesser Extent Ginger, Cinnamon.